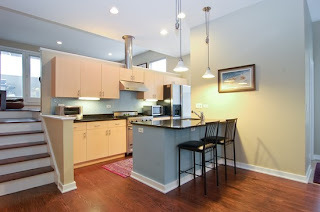 The Chicago Real Estate Local: For Sale: Lakeview duplex, attached garage, Viking, Bosch, KitchenAid! For Sale: Lakeview duplex, attached garage, Viking, Bosch, KitchenAid! 2 bedrooms, 2.5 baths, garage parking, upgraded kitchen and baths plus family room!